New Jersey Gov. Phil Murphy acknowledges fans during the game between the Rutgers Scarlet Knights and the Nebraska Cornhuskers at Louis Brown Athletic Center. New Jersey Gov. 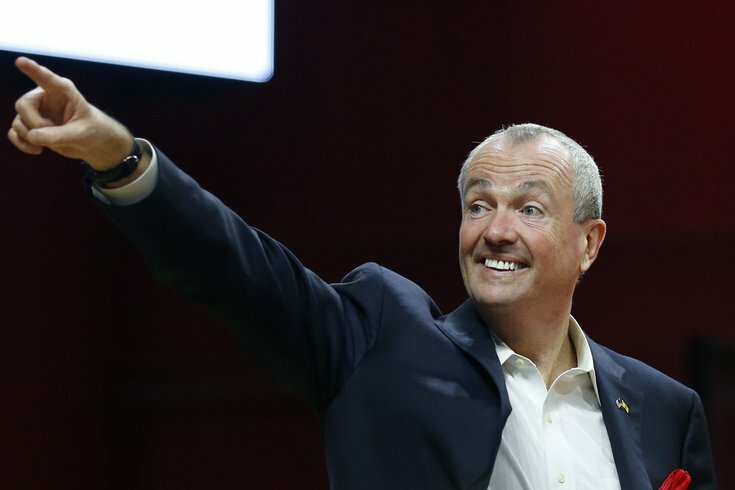 Phil Murphy unexpectedly canceled his regular radio appearance Thursday evening, causing some reporters to accuse him of hiding from tough questions and lacking transparency. The governor's people say that's not true. Murphy was scheduled to appear on "Ask Governor Murphy," a program that allows New Jersey residents to call in with questions. It's hosted by WNYC in New York and syndicated to three other public radio stations, including WHYY in Philadelphia. But WNYC announced before the broadcast that Murphy had decided to withdraw. According to the station, Murphy's office backed out after the station declined the governor's office's request to remove a reporter from a panel that was set to ask Murphy questions during the show. "Editorial independence is critical to our mission and the success of such a program. We regret the inconvenience to our listeners," the statement from WNYC said. The reporter in question is Linh Tat, who covers education in New Jersey for Politico. After the announcements, fellow reporters — both with the radio stations and with other outlets — took to Twitter to cry foul, with some suggesting it appeared Murphy didn't want to take questions from Tat and was trying to dictate coverage. The producers also noted that the format for Thursday's show was to be the same as it had been two months ago, with a journalist asking Murphy questions in between calls from listeners. Daniel Bryan and Mahen Gunaratna, spokesmen for Murphy, were quick to counter the narrative. They said it had been made clear to the producers after the March show that they didn't agree to that format and wanted it to be strictly a call-in show for residents. Bryan and Gunaratna also said the decision to cancel had nothing to do with Tat. They highlighted three other Q&A sessions scheduled with reporters this week. And we told your on many, many occasions that this wasn’t the purpose of us doing the show. We’re doing three Q&As with reporters this week - this was dedicated time to talk to constituents directly and WNYC believed it should be morphed into dedicated time for reporters. It has nothing to do with editorial independence. This is an opportunity to take questions from listeners and WNYC believed it should be more heavily tilted towards interviews with State House reporters. We appreciate the opportunity, but clearly have a different vision here. I'll only add this: Strictly from a drama perspective, this pales in comparison to Murphy's predecessor, who knew how to pick real fights with the media.